ㆍ Due to technical change of the city name, your profile is affected. ㆍ If possible, please use the profile you have not used a south korea adventure map. Please read the readme.txt for more information. Why is there a Czech flag on first photo? Russia has different flag. May be tomorrow,anyway i would say Thank You! This addon map for “fantasy and adventure” is a great idea! Why you don’t cover full Map Of Bloated Toad? PLEASE UPDATE STANDALONE THE OLD MAP ISLAND.THIS MAP THE BEST FOR ME.CONTINUED ITS ALONE WHITHOUT OTHER BESIDE HIM. Move the download from the lame server you have it on. What is it? Google Drive? Useless darned servers anyway. I have a feeling that I’ll love this mod, IF and then WHEN I can get it. Won’t be till you move it off of Google Drive, because I refuse to deal with their BS. There is a good work, but Hungary map have many problems: the truck block and go and block, many trees in the road, pass train don`t open etc. the map EL DORADO have many bugs. All the others is correct and very nice. Try to correct all that. Please put these maps in separate mods. We may choose the map we want play. The Hungary map have many problems for me, and very bugs. The EL Dorado map have many bugs, correct them. The other maps is very goods and work ok.
It’s really cool like that!Please,don’t change anything ! Those want to play a hungary in standalone,install’ Hungary map…. the game crash everytime i activate this mod!!! Got it to work already… you will need a scandinavia DLC to work ths mod… Anybodygoing to make a map of Singapore…?? Hi map is very good , but I found some bugs in the ukraine , invisible walls , missing part of the track where you can not really go with the truck. please arranges it , thank you. Hello , I apologize in advance for my English . I have some questions : why have all delivery of Calais for free and without time flow boat , or install as other maps that I can normally go for example to the Polish Ukraine and Hungary ?? which maps would have to install ?? УЖАС, А НЕ МОД!!! ВЫ ВЗЯЛИ ОДНУ ” ГРЯЗЬ ” И СМЕШАЛИ С ДРУГОЙ ” ГРЯЗЬЮ “! ВЫ БЫ ЛУЧШЕ В СВОЙ МОД УСТАНОВИЛИ КАЧЕСТВЕННЫЕ КАРТЫ!!! НАПРИМЕР: ВОСТОЧНЫЙ ЭКСПРЕСС 8.2; PROMODS 2.01; RUS MAP 1.6.1; EAA 3.1; ROMANIAN MAP 8.2; КАРТУ ВЕНГРИИ ( МОЖЕТЕ ОСТАВИТЬ В СВОЁМ МОДЕ ( МНЕ ОНА ОЧЕНЬ ПОНРАВИЛАСЬ ) ) И ДРУГИЕ КАЧЕСТВЕННЫЕ И ЗРЕЛИЩНЫЕ КАРТЫ!!! HORROR AND NOT MOU !!! YOU took one “dirt” and mixed with other “dirt”! You would be better to your MOU to establish a qualitative CARD !!! 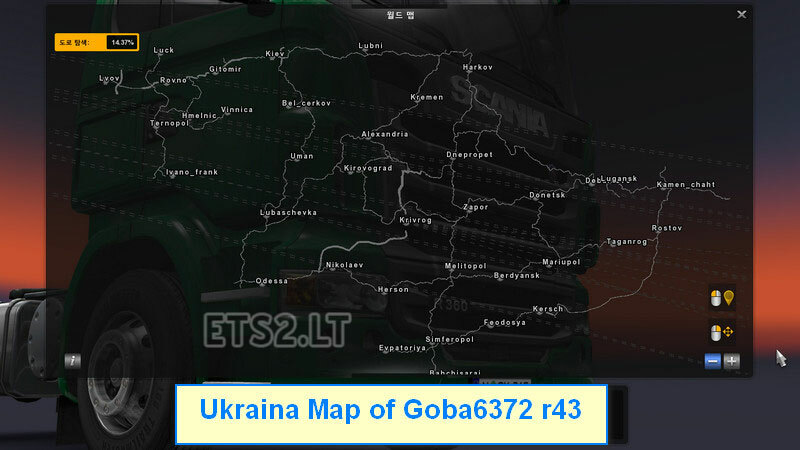 EG: EASTERN EXPRESS 8.2; PROMODS 2.01; RUSSIA MAP 1.6.1; The EAA 3.1; MAP OF ROMANIA 8.2; MAP OF HUNGARY (can park in your mod (I like it very much)) and other quality and entertainment CARD !!! AI is going sideways on all maps ,you just cant drive ?? Any sugestion ,maby is me doing something wrong ?? Hi, map is very good, but some bugs are in Pangea Map, between Cuesta Lipan and Saltillo. There bridge is blocked and can not continue in the way. Can you please fix it? When im entering the game after i have choosed where i want to start, it just quits the whole game. Like it closes its self, without any marks of crashes or anything. It can run on version 1.23.3? Please help me!